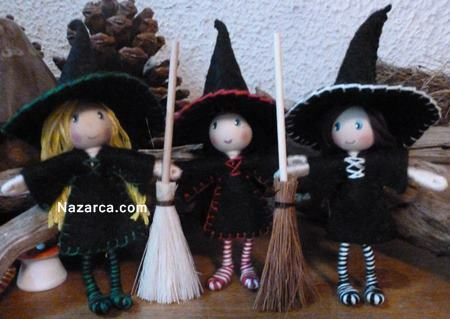 Over 30 free Halloween knitting patterns for you to make all things yarn, creepy and scarp. That fun and spooky time of year is upon us once more – Halloween! 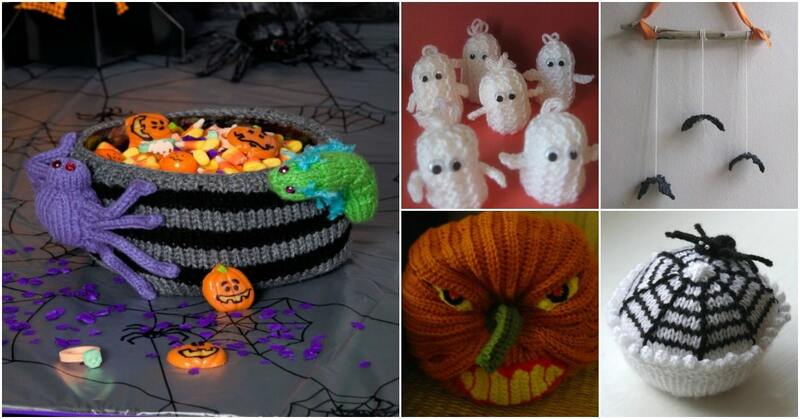 You can decorate your home with tons of creative Halloween knitting patterns. Let’s begin! Spiders and Candy Corn and Monsters, oh my! 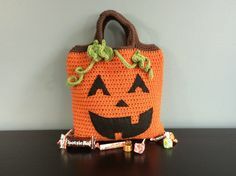 These knit treat bags are a hauntingly cute way to present Halloween treats to your favorite little ones (or big ones). Go trick or treating this Halloween with this awesome Boo Bag from Bernat. Designed by Stitch Geek. 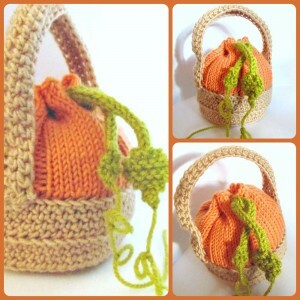 A mini “pumpkin-in-basket” bag for filling with little autumnal treats! This pattern combines both knitting and crochet to give a unique look to the project. Free knitting patterns for witches, spiders, zombies, rats, spiders and more awesome creatures to decorate your home with! 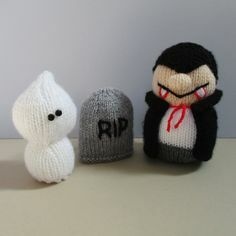 Designed by justjen-knitsandstitches; “The Little Vampire” is only 11.5cm tall, and is knitted in DK/8ply yarn. He is only little, but still cute and creepy! This is the pattern to make a little girl and her cat. 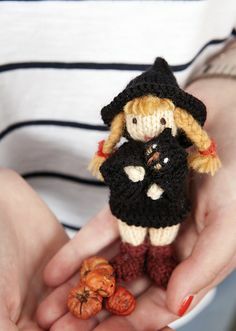 The girl is about 8cm tall with her tiny cat, 2cm tall. Designed by justjen-knitsandstitches; “The Little Zombie” measures only 11.5cm tall and is knitted in DK/8ply yarn. Rats are a Halloween must-have for anybody planning the spookiest haunted house in the neighborhood. 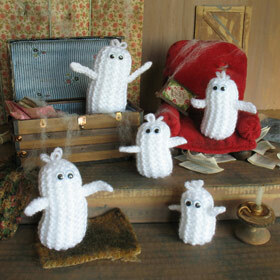 Ultra cute little ghost amigurumi to knit designed by Knitted Toy Box! 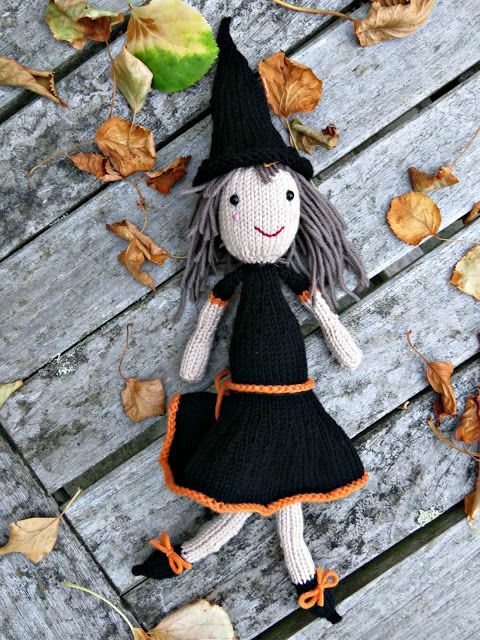 Want to knit up a fun little witch to spice up your Halloween decorations? She’ll take you two hours to knit, three tops. Cute spider amigurumi to make for Halloween. Very quick and cute spider and his web pattern to knit for Halloween. 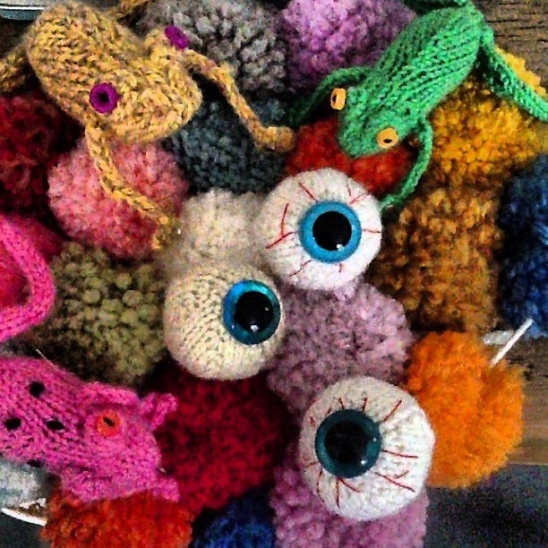 These eyeballs are knitted in the round from the bottom to the top. The pattern offers three sizes of eyeballs. Display various sizes and colors in a glass jar on a mantel for a great conversations starter. 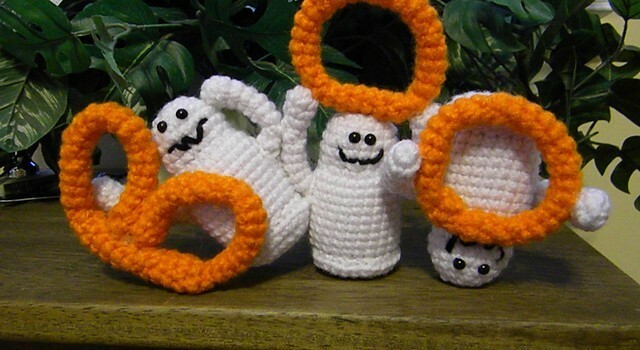 Very cute bell shaped ghost knitting pattern to make by Natural Suburbia. This quintet of cute characters couldn’t be quicker or easier to make from scraps of yarn and stuffing. They are knitted in garter stitch (no increases or decreases) and with one nifty stitch they stand up by themselves, like magic! Decorate your kitchen with cute Halloween themed dishcloths! Knit up this quick, simple and cute lace pumpkin motif dishcloth for this Halloween! Knit a friendly ghost for bath time or to help wash the dishes. Since Scrubby is polyester, you can wash it by machine and it dries quickly between uses. These creepy-crawlies are too cute to smush! 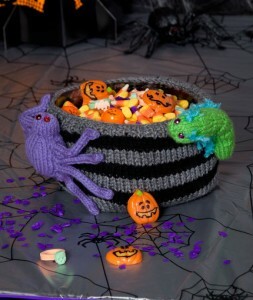 Adorn your Halloween candy bowl with these easy-to-knit critters and wait for the smiles. Decorate your home this Halloween with orange and black bunting/garland free knitting pattern. Extend a warm welcome to your guests or trick-or-treaters this Halloween with this lovely knitted Wreath Pattern. 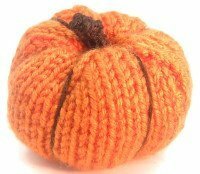 Designed by Craftbits a sweet and cute little pumpkin knit pattern. 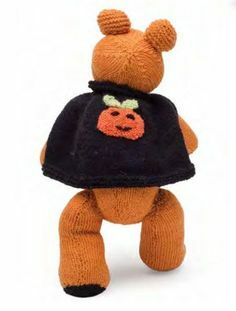 Another cute little pumpkin free pattern to make! 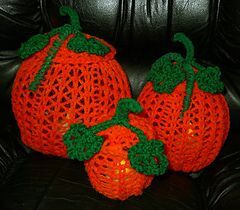 Stunning small Halloween pumpkins to knit designed by Bobbi Lewin. More cute pumpkins to make for Halloween, these ones are chunky! 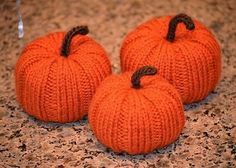 Cute pumpkins to knit up for Halloween. 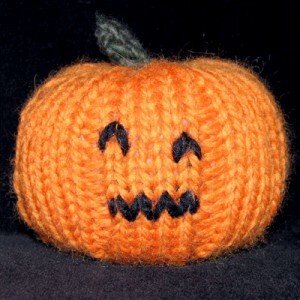 Free knit pattern for a cute Frankenstein pumpkin from YarnPaint!